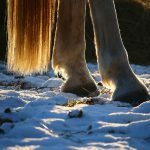 Antibiotic Use in the Aged Horse: Do We Need to Adjust Our Treatment? It is well documented as humans age (starting at 65 most notable at over 70 years old) that physiological changes take place, particularly a decline in kidney function. These changes may affect drug therapy with a decreased elimination of a drug secondary to decreased kidney elimination, placing the patient at increased risk of drug toxicity. In clinical practice, is it common to adjust the treatment dose and interval accordingly for older humans taking medications that are cleared by the kidney. Animals, similar to the human, experience physiological changes during aging. However there is little information available concerning changes in kidney function in the older adult horse. The purpose of this clinical study is to answer the question of whether we should be adjusting the dosage of particular drugs in the older horse due to a subclinical decline in kidney function. One of the common antibiotics used in horses of all ages is the drug gentamicin. 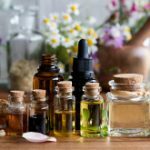 It is an effective antibiotic that is eliminated through the kidneys. Our goal is to see if the dosage or frequency of drug delivery should be changed in the older horse in order to avoid toxicity. 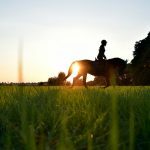 The study that will be conducted at Cummings School of Veterinary Medicine by the Dorothy Havemeyer Foundation will look at the levels and elimination of a single dose of gentamicin in both young horses (5-10 years) and older horses 25 years of age or older. 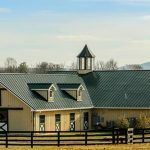 Horses in the study will receive a physical examination, blood and urinalysis free of charge to determine the eligibility for entry into the study. 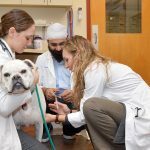 The study will take place at the Hospital for Large Animals at the Cummings School of Veterinary Medicine at Tufts University. The animals will be housed in the hospital for two nights. Owners will be compensated for transportation costs. The study will require a single dose of gentamicin followed by multiple blood collections via an intravenous catheter, to determine the elimination of the drug by the kidneys. A single dose is safe for the use in the normal horse. Please contact Drs. Mary Rose Paradis or Daniela Bedenice at 508-839-7926 (Daniela.bedenice@tufts.edu) for more information regarding enrollment of either young (5-10 years) or older horses (25 years or older).